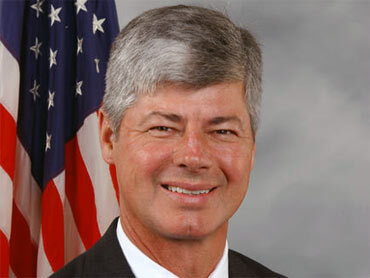 Congressman Bart Stupak: Enemy Numero Uno for the radical right? Rep. Bart Stupak (D-Mich.), the legislator who has led a group of House Democrats who oppose the Senate health care bill because of its abortion language, says his life has become a "living hell" because of the debate. "All the phones are unplugged at our house -- tired of the obscene calls and threats," Stupak said in an interview with the Hill. His wife no longer watches television, he said, because of "people saying they're going to spit on you and all this. That's just not fun." His congressional offices have been inundated with phone calls, e-mails and more than 1,500 faxes on the issue -- most from people outside of his district, Stupak said. "My staff is overwhelmed and we're accosted basically wherever we go by people who disagree," Stupak said in an interview on MSNBC. "We should have disagreements in this country. I for one am standing on a principle most Americans agree with." Stupak has insisted the Democrats' health care bill should include language to ensure that federal dollars are not used to fund abortions. He managed to get Democratic leaders to add strict language to the House health care bill limiting abortion coverage, and the Senate bill added similar language. Stupak says, however, that the Senate health care bill does not go far enough, and he claims there are about a dozen Democrats who will vote against the Senate bill with him. A number of legislators and advocacy groups disagree with Stupak, including leaders of religious orders representing 59,000 Catholic nuns who announced yesterday they find the Senate bill's abortion language acceptable. A couple of other anti-abortion rights House Democrats -- Reps. Dale Kildee of Michigan and James Oberstar of Minnesota -- also said yesterday they are reassured the Senate language is acceptable. Kildee plans to vote for the bill; Oberstar initially said he would vote yes, but his spokesperson told the New York Times that Oberstar was "a strong likely yes." Stupak told the Hill, however, that he still has 12 House Democrats willing to vote against the Senate bill because of the abortion language.